Students at Friends Christian School are impacting their world today. As they learn what it means to love God and love others, they are discovering that they can make a difference in the lives of others! Preschoolers have collected diapers and other everyday necessities for homeless families in Orange County. Elementary students used chapel offering to purchase bicycles got youth missionaries through Bonfire Ministry (Youth with a Mission) in Dordrecht, Netherlands. 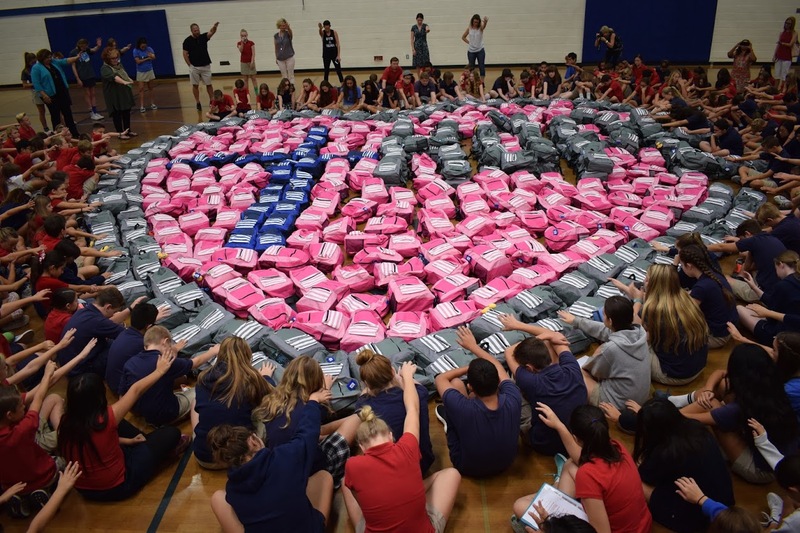 Middle school students take on a variety of service projects each year, ranging from supporting after-school programs in local communities, to providing nearly 600 backpacks full of supplies and needed medical supplies for an orphanage in Liberia. Through a variety of projects, FCS students are learning how to put Love God, Love Others into action. © 2019 Friends Christian School. All Rights Reserved.